What is the Best Healthy Cooking Oil? Selecting the best cooking oil can make or break your diet, and choosing the wrong cooking oil can be catastrophic for your health in the long term! Some oils are rich in good fats, while others are crawling with bad fats. Some oils work well at high temperatures, while others can be hazardous for your health if you cook with them. You should now realise that it’s essential to understand cooking oils in order to avoid the common pitfalls and to keep your body healthy. What Makes a Healthy Cooking Oil? A good cooking oil should be high in Omega-3 fatty acids, which improve brain health, boost cardiovascular health, and reduce inflammation. It should contain some Omega-6, another type of polyunsaturated fatty acid, but the key thing to consider is not how much Omega-6 is in the oil, but the ratio of Omega-3 to Omega-6. Excessive amounts of Omega-6 fatty acids are common in westerners, and it can increase your risk of developing nasty diseases, including heart disease, cancer, and inflammatory and autoimmune diseases. Expert’s opinions vary on what ratio is healthy, but as long as there are fewer Omega-6s than Omega-3s, then you’re in good hands! 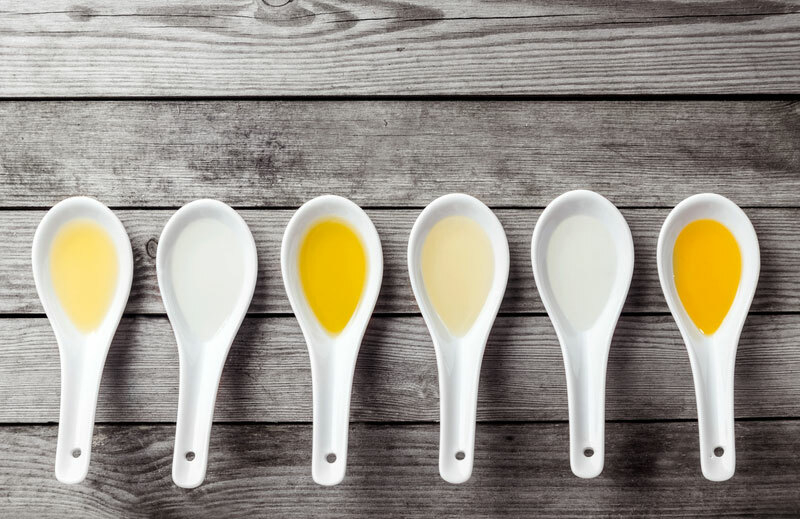 A healthy cooking oil should also be rich in Omega-9, a type of monounsaturated fatty acid that plays a central role in heart health and glucose control. Contrary to popular belief, saturated fats are actually essential for many bodily functions, so you shouldn’t try to avoid them if they are from good natural sources. Saturated fats are easy to identify, as they usually are solid at room temperature. Butter, ghee, and coconut oil are three great examples of healthy oils with a high saturated fat content. These fats are much more resistant to oxidative damage, meaning they can be heated without forming carcinogenic (cancer-causing) compounds. Finally, a healthy cooking oil should be FREE of trans fats, which are usually found in the highly processed oils. This type of fat increases your risk of heart disease, promotes cholesterol production, causes inflammation, and more! The less processed an oil is, the more natural (read: healthy) it is! 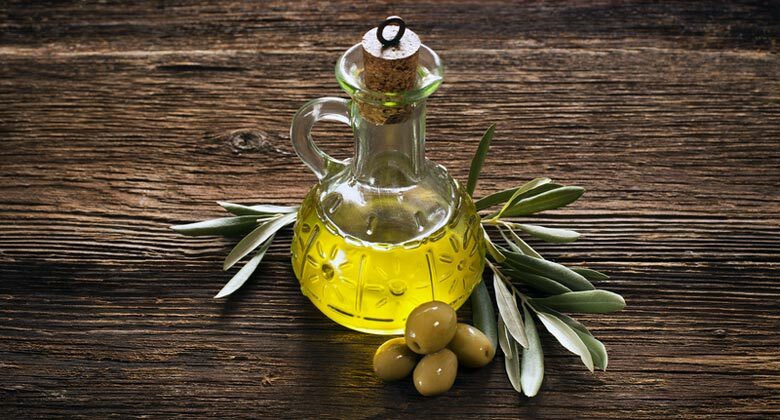 For example, Extra Virgin Olive Oil is one of the best types of oil around, particularly when it is cold-pressed and unrefined. The cold-press process keeps most of the antioxidants intact. The more processed the oil, the less healthy it is, which is why the highly-processed “vegetable oils” are so bad! Cooking at high temperatures can cause some oils to smoke, damaging the oil and releasing carcinogens which pose serious health risks. The higher the smoke point, the hotter the oil can be before becoming carcinogenic, so this is something you need to consider before you heat up your oil of choice. Avocado Oil has the highest smoke point of any oil (270°C/520F), and has a low saturated fat content. Almond Oil has a 215°C (420F) smoke point, and is loaded with Omega 3 fatty acids. Macadamia Nut Oil has a 210°C (410F) smoke point, and is also rich in Omega-3s. Non-Hydrogenated Palm Kernel Oil has a 235°C (455F) smoke point, and is unrefined/minimally processed. Virgin Coconut Oil only has a 175°C (350F) smoke point, but is very resistant to heating. Extra Virgin Olive Oil’s smoke point ranges from 90-190°C (200-375F) depending on processing (generally the better the oil, the lower the smoke point), but it’s loaded with antioxidants and healthy fats. Flaxseed Oil has a smoke point of just 105°C (225F), but is one of the best plant sources of Omega-3 fatty acids. Unsalted Grass-Fed Butter is minimally processed, and it is perfect for cooking at lower temperatures thanks to its 150°C (300F) smoke point. Want to know which cooking oils you should be avoiding? Most vegetable oils are going to be very refined, so they’ll be rich in saturated and trans fats and low in the healthy unsaturated fats. They also contain far more Omega-6s than Omega-3s, and they tend to oxidise when they get very hot. Canola oil and sunflower oil are just two of the highly refined oils, along with peanut oil, soy oil, and ‘vegetable’ oil. Avoid all of these and foods that contain these like the plague! Nutrition Notes: Good, Better, Best – What Cooking Oils Should I Use?